The hopper is empty notification appears on the agent page when the system detects that there are no leads in the campaign to dial. The agent will see the red Hopper Empty Notice on the bottom of the page and the Hopper shows zero leads. There are no dialable leads and your list(s) need to be reset. Campaign Lead Filter or Local Call Time. It’s too early or late for your leads to be called based on the call time rule of your campaign. No active list in your campaign. Turn on a list to have dialable leads. Hopper was recently reset or hopper level is too low and running out of leads too soon. The Admin can do the following to know why there are no leads in the hopper and rectify the issue. In the Dashboard. Go to Call Center and select Campaigns. On Campaign Settings, click on Leads tab. From here the admin will know which step to make to have more dialable leads depending on what is shown in the Leads Summary. No Active Lists - Total leads that won't be called because the list is inactive. Solution: Turn on Lists to have more dialable leads. Reset Lead List - Total Leads that can be called once you have reset all of your lists. Solution: Reset your Lists to re-dial them. Check campaign’s local time rule - Total leads in active lists that won't be called because they are outside of the Local Call Time rule. Solution: Check what time rule is set for your campaign. Check campaign’s GMT lead filter - Total leads in active lists that won't be called due to the Campaigns GMT Lead filter. Solution: Check what time zone rule is set for your campaign. Check campaign’s call count limit - Total Leads that won't be called because of Campaign's Call Count Limit settings. 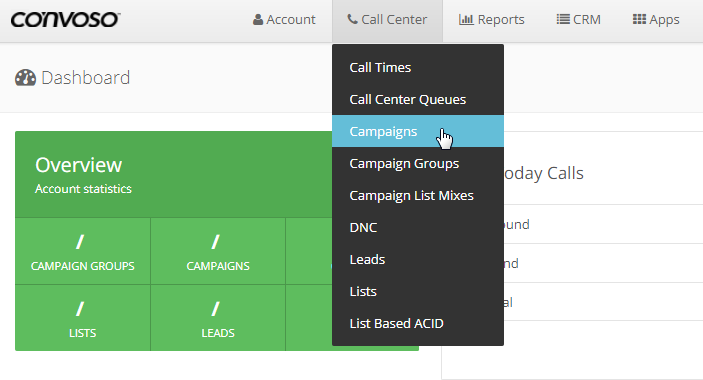 Solution: Check what is the maximum call count rule is set for your campaign. Solution: Make sure Hopper Level is set properly based on the number of agents logged in your campaign. The hopper will automatically fill in leads by itself after approximately one minute.